Are you interested in renting your home out for holiday rentals? The staff at Beach Living Management specialise in the giving advice and consultancy services on holiday houses on the Northern Beaches of Sydney. Contact us if you need help setting up your holiday home, need to consult one of our holiday rental specialists or would like us to provide assistance with your property. If you are away over the school holidays or Christmas break we are here to help and give advice on your properties. 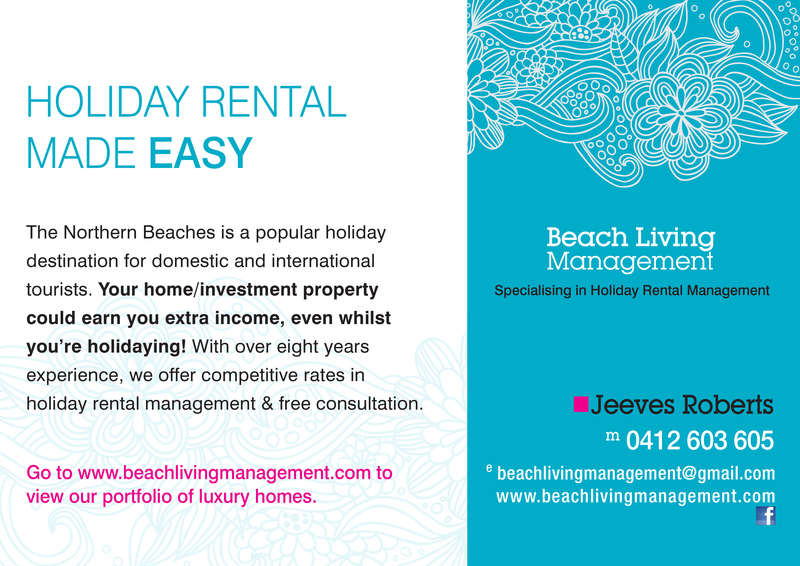 Click here to contact Beach Living Management about renting your home out for holiday rentals.